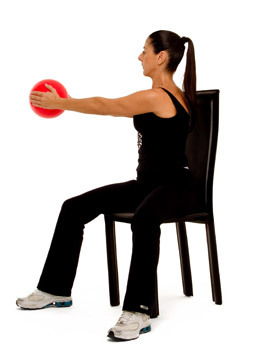 Start seated in a chair with your back supported. Hold a ball with both hands away from you, at chest height. Proceed to rotate the ball utilizing your trunk, not your arms. Resume the starting position. Repeat 5-10 times each side.